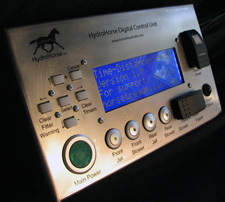 Introducing the new HydroHorse Control System. After over a year of development and testing we are excited to bring the HydroHorse Aquatic Treadmill system into the 21st century. Gone is the huge control panel and gone is guessing how fast your horse is moving. 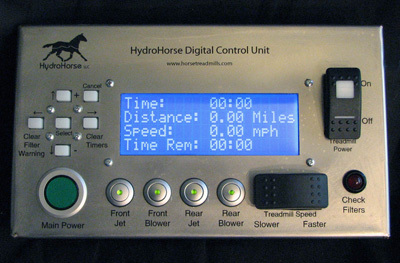 The new Digital Control Unit (DCU) provides all the functions to run your Hydrohorse in a sleek, ergonomically designed water-resistant stainless steel enclosure. From this simple panel you can control most all aspects of the units operation. You can turn on and off the jets and blowers (lighted buttons show you what is on at a glance). You may also turn on/off the treadmill, as well as completely control its speed. Speaking of speed, you now have the ability to control precisely how fast your horse is moving, no guessing. SImply set the speed on the DCU and the tread mill will accelerate or decelerate to match your setting. The new DCU also includes functions to time work out sessions, no longer do you have to keep an eye on your watches second hand. 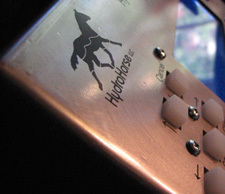 You can set a timer on the panel and a buzzer** will sound when the set time has expired. You can also just see how much time has elapsed. 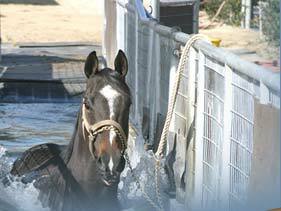 We have been building and installing horse treadmill systems for over 25 years and realize that there are many of these systems still in use. That is why we have also developed a system to add some of the new functionality of the Digital Control Unit to treadmills already in service around the world. Our new retrofit kits add the Time, Distance, and Speed monitoring capabilities of the news system, while retaining your existing control panel. 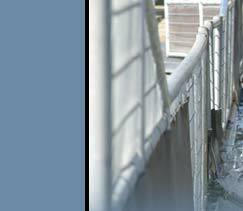 As installations and equipment vary, please Contact Us for pricing and installation details.